Download our Coulbourne Creek Boat Ramp PDF file. Coulbourne Creek is located in Marion Station at the northern intersection of Maryland Route 413 and Maryland Route 667. Marion Station was once known as Coulbourne Creek until the Pennsylvania Railroad line known as the Crisfield Secondary Branch of the Eastern Shore Railroad reached Crisfield. The Big Annemessex River passes by the town, with a small local arm known as Coulbourne’s Creek. 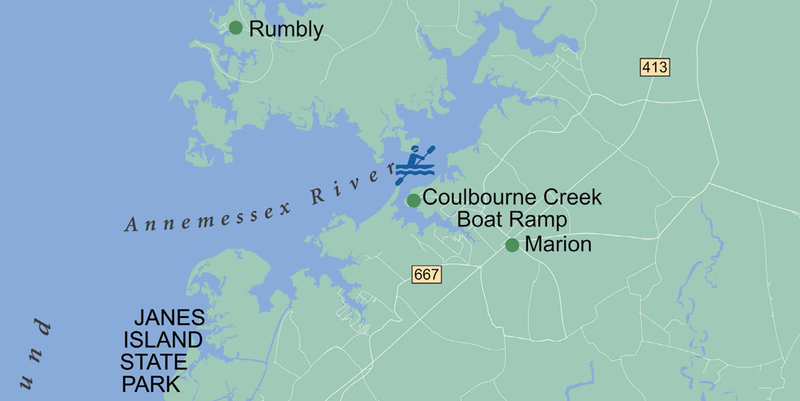 The convergence of these two bodies of water is accessible by Coulbourne Creek Road, off Charles Cannon Road, where a public boat dock is located. 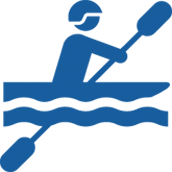 The activity in Marion was centered around this area before the economic boom brought about by the Eastern Shore Railroad and the shift to strawberry farming.